Dress for success. 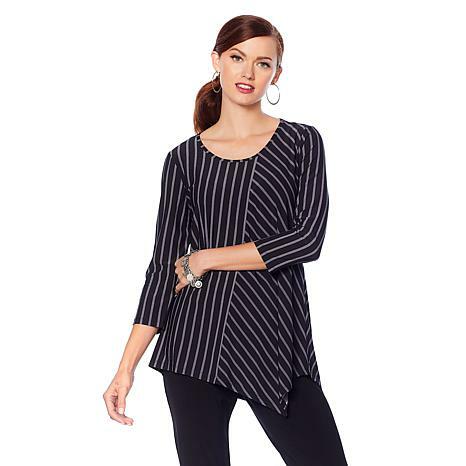 This classic pullover features slimming stripes and an asymmetric hemline that adds instant polish to your favorite bottoms. I stepped out of my color zone and bought the red along with the pants that go with it. A glorious feel, a glorious fit! And the red looks terrific! Plan to wear it to a post-wedding brunch. I have just recently discovered Antthony and like everything I've bought from this designer. Love this top! The stripes are thin but vivid and the angles are lovely. Makes me look thinner.